September 21 marks one year that Alex Garcia has been living in sanctuary in Missouri. Alex, his family, the congregation and the community remain committed to justice. When the rights of some in America are threatened, all of our rights are threatened. We will stand with Alex until he is able to return home to Poplar Bluff and live a life of dignity with his family. 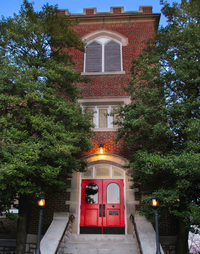 Join us for Sunday service with Alex and his family at Christ Church United Church of Christ. We will begin the week with prayer and reflection, and a special blessing for Alex and his family. Carly Garcia, Nicole Cortes and Sara John will travel to Washington, D.C., to meet with Congresspeople and immigration officials to advocate for Alex's freedom. The trip will be documented on social media - be sure to follow @AlexBelongsHere and @IFCLA for live streaming, photos, and updates during the trip. IFCLA's September Dinner Diálogo series will be part of this Week of Action. Join us for a simple beans and rice meal as we hear from Jan Roddy and Emily Kuttenkuler, IFCLA volunteers who recently spent time in the U.S.-Mexico border region. Details about the event can be found here. This is the day, one year ago, that Alex was forced to separate from his family, moving 300+ miles away, so that they could fight to stay together. All are invited to participate in a fast, to honor the sacrifice and courage of this family, to keep their struggle for justice present in our hearts and lives. We will kick-off the fast together in inter-faith prayer and reflection. All who are fasting and supporting those who are fasting are invited to come together for a film study. 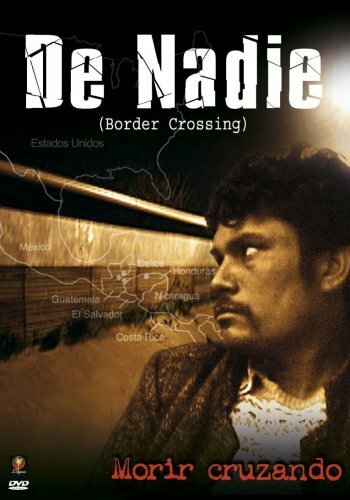 We will watch and discuss "De Nadie", a 2005 film written by Lizzette Arguello and Iliana Martínez. Our Week of Action will conclude with Sunday service, followed by brunch in Fellowship Hall, where fasters will break the fast together. This will be a space to find joy, energy, hope and love - the fuel we all need to continue the pursuit of dignity, justice and liberation.